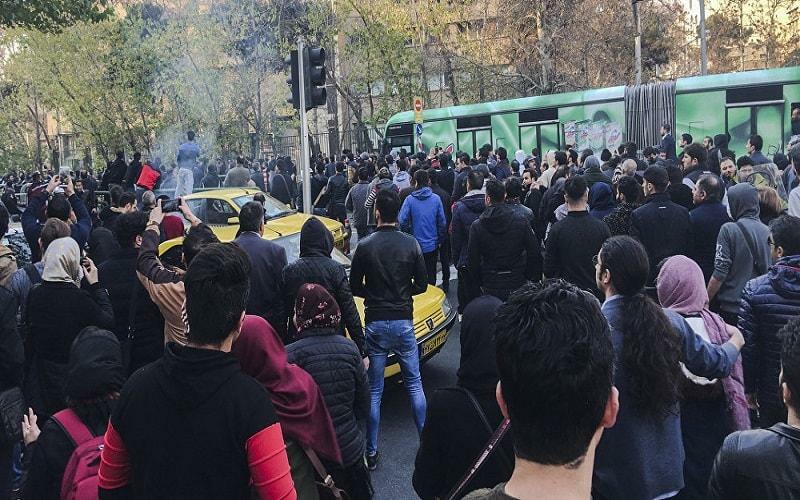 Mrs. Maryam Rajavi, the President-elect of the National Council of Resistance of Iran (NCRI), hailed today’s uprising by the people of Tehran, Isfahan, Shirza, Mashhad, Ahvaz, Karaj, Arak, Shahin-Shahr, Najafabad and other cities. “By defying the criminal Revolutionary Guards, Bassijis، and plainclothes agents once again today, the arisen women and youth represent a defiant generation which will not rest until the Iranian people and nation are free. They displayed the anger and hatred of the Iranian people toward the religious dictatorship ruling Iran,” Maryam Rajavi said. Rebellious cities are joining ranks one after the other. The cry by people who yearn for freedom is growing louder and the uprising is spreading by the minute. The suppressive forces used teargas, birdshots, and blank cartridges in an attempt to quell the uprising. Despite the wounding and the arrest of a number of protesters, the rebellious youth showed unity and perseverance in confronting the security forces. No force is stronger than unified and united youth.